Get ready for some dark teen business on this week's Fandalites. Shake brandy, Galliano, Killepitsch and lime juice with ice. 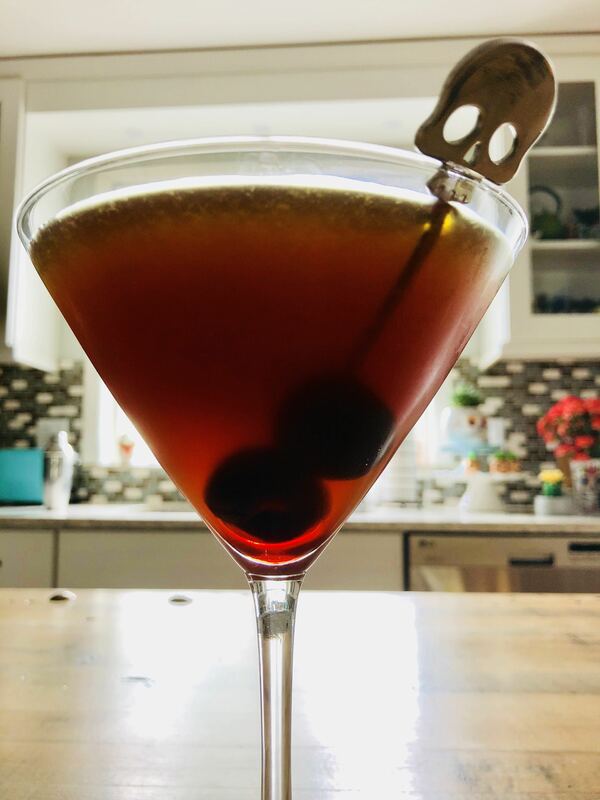 Pour a small splash of grenadine in the bottom of a martini glass, followed by the cherry. Slowly pour the shaker into the glass, attempting to distrub the grenadine as little as possible.